Swimming pool renovation that is environmentally safe and affordable. Tearing out and rebuilding an in-ground swimming pool is cost prohibitive to most home owners. Of course, looking at an empty pool that you can’t use isn’t appealing. We offer swimming pool renovation services and pool resurfacing. Sometimes pools just need a refresh of the interior finish. 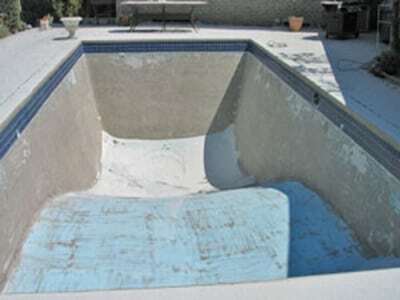 In order to achieve the best results, soda blasting strips the paint and residue from the interior walls of the swimming pool. This process is done using an environmentally friendly soda blasting process. One of the most significant concerns expressed by our clients is the negative impact to the landscaping and local environment that chemical paint stripping involves. 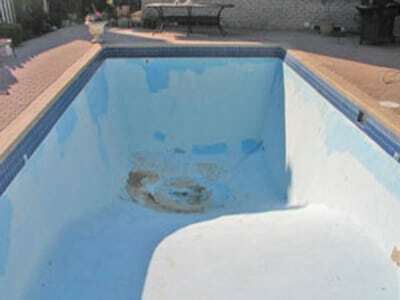 Sandblasting is hugely destructive to fibreglass and is not a viable solution for those types of pool liners. Choose soda blasting for swimming pool resurfacing for indoor or outdoor pools. Contact us today to get on the calendar so you can get your pool ready for the swimming season 0407 070 464.